Grocery Store Business: How To Get Success Overnight? A grocery store makes it easy to have access to food and other items easily that otherwise would be difficult to get from supermarkets and malls. If we talk in terms of business, it has a very high potential to earn good profits. Having said that, a grocery store business also faces cutthroat business. And in order to make through the competition and earn good profits, the grocery store owner must know a few tips and tricks. 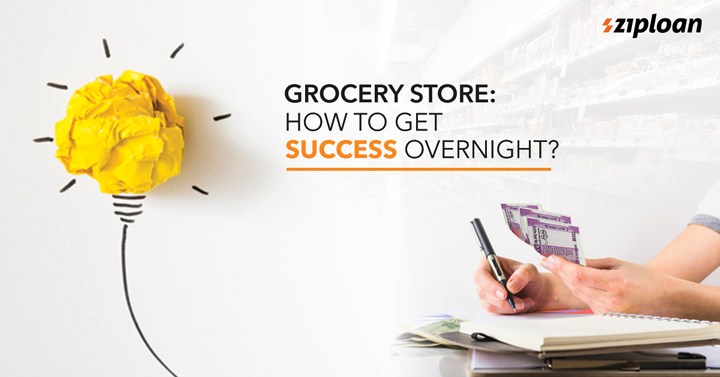 Read on to know the tips to make grocery business overnight success. A grocery store has a business specific to a local community has the benefit of catering to the customers that are most likely to come to their store and not a generic marketplace. This means the store owner can take the customers’ preferences and shopping habits. For instance, if your grocery shop has a student’s campus nearby, you can have a deal of “grab and go” where you can offer the best deals for students. Offering a unique customer experience will increase customer satisfaction and your store value as well. Additionally, you must also stay with the generation of the customer by offering products that they like. You can add coffee, green tea, and other such products to your store. Additionally, you can also offer free product samples of the new products to make the trip of customers more memorable. It would be impossible for you to attend all your customers at once. So, it is important that you educate your employees. A seller with the expertise of the product is liked by most of the customers. So, the employees will help them in making a sound buying decision. Also, one of the top reasons why people like offline shopping over online shopping is the shop owner can help them in buying decision. Adding a few features of convenience will also help in increasing the grocery store business. Since almost all customers are using smartphones these days, you can also look forward to creating an App to connect with them easily. However, you can also register yourself at another big application to increase your sales. In addition to that, you can also register yourself and your business on Connect by ZipLoan to meet buyers and traders, absolutely at free of cost. You can also talk to your fellow sellers about different ways to increase business. The other important actor to invite customers to your store is a coupon strategy. You can offer coupons to your buyers on every sale. This can work in a way that on every sale of Rs. 100, you give a coupon of Rs. 10. They have to collect coupons of Rs. 200 at least to get discounts on the next sale from your grocery store. Now that you know various tips and tricks to make your grocery store successful overnight, you can make the best use of it. And if you are looking for a grocery store business loan, you can avail it from ZipLoan in just 3 days at minimal documentation and basic eligibility criteria. Want to read the latest posts on social media? Then follow us on Facebook, Twitter, and LinkedIn! Rashi, a content writer by profession, started her career as a media professional and later moved into digital marketing wanting to discover its diversity. She believes words are the best and warmest way of expressing oneself. She loves watching thought provoking cinema and often expresses her ideas on the same through her writings. Next article How To Increase Mobile Store Business In Just 7 Days? What Are The Ways To Improve Business Loan Eligibility? How To Get A Loan For Small Clothing Boutique?